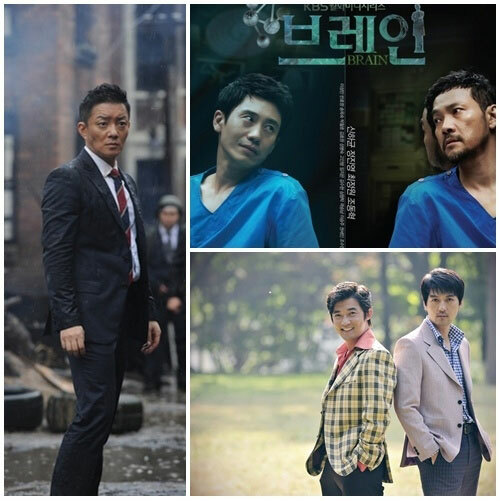 the ratings of all Monday and Tuesday dramas moved up in tandem, continuing to engage in fierce competition, KBS 2TV’s Brain remains on top. According to statistics from AGB Nielson Media Research on January 4th, 2012, the rating of Brain broadcast on January 3rd, 2012 is 17.9%, an increase of 1.4% comparing with previous episode’s rating of 16.5%. This rating also breaks its own highest ratings record. MBC’s Lights and Shadows follows behind closely with rating of 15%, an increase of 2.1% over previous episode’s rating of 12.9%. SBS’s Salaryman which debuted on January 2nd, 2011 with rating of 8.7% saw its rating increased to 10% on the 3rd, successfully garnered double-digit ratings in just two broadcasts.